Since 1974 Midway Village Museum has been collecting artifacts and documents that record Rockford history. Today the Museum’s collection contains approximately 150,000 objects which are used for exhibits, educational programs, and research. 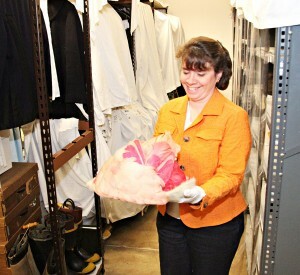 Check out our Collections Blog for an in-depth look at some of our artifacts! 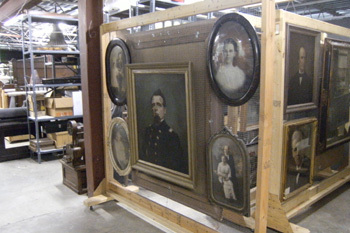 The care and preservation of the artifacts in the collection and the documentation of them. Special programs offering up-close experiences with the Museum’s artifacts. For assistance feel to contact Laura Furman, Curator of Collections at 815-397-9112, ext. 108 or curator@midwayvillage.com. Midway Village is on Historypin! Historypin is an website that allows for individuals and institutions to upload historical images. The Collections Department at Midway Village is happy to announce that we are now a part of this great initiative. The images pinned are all a part of our fantastic collection of photographic and postcard resources, and if you click below, the link will guide you to our page. These images can help with research on the Rockford area, and if you are interested in any of the images, please go to our research page here.